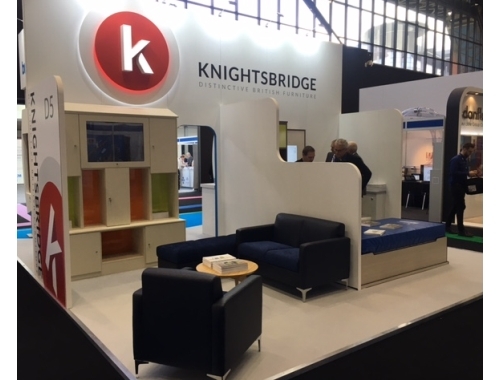 The doors to Healthcare Estates 2016 have opened and the Knightsbridge team on on hand to offer help, advice and to showcase our latest products on stand D5 and in our mobile showvan parked outside Manchester Central! A selection of challenging environment furniture will be presented on the company’s stand (D5) at this year’s Healthcare Estates exhibition at Manchester Central, 4th -5th October 2016. Designed to suit the demands of a diverse range of challenging behaviours, our mental health collection has been created with the specific needs of healthcare providers and patients in mind. From concept through to production, we have worked to create safe and robust yet stylish products to help build and effective and practical therapeutic environment.